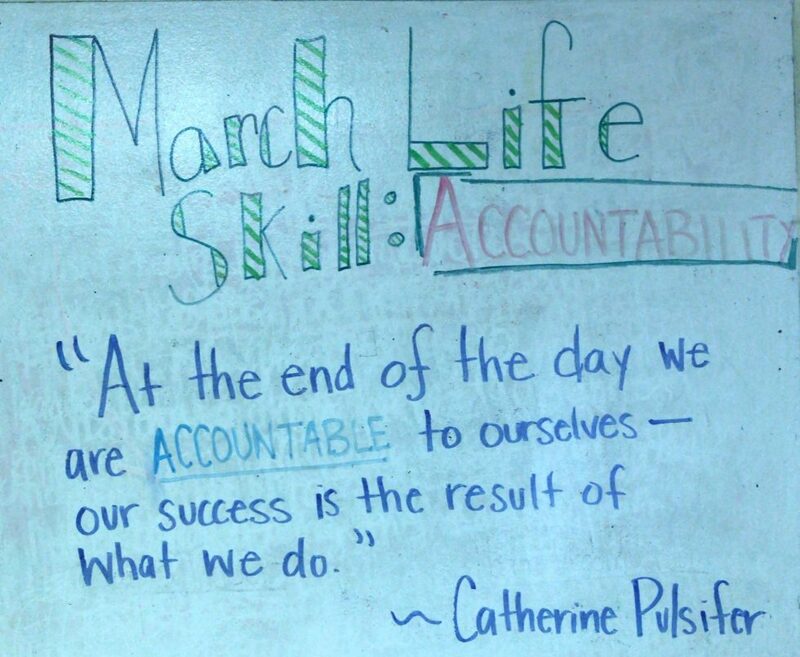 Accountability is hard for all of us. For children who have never had anyone to answer to, being ok with accountability is one of the toughest hurdles to overcome. A quick little story about a Sunday night family dinner. All the girls were sitting around the table when the discussion of chores and goals came up. One of the girls, Lydia, was struggling with following the rules, having a tough time adjusting to this new level of accountability like curfew, room checks, and talks about life goals. Our Housemom was preparing to start the discussion about following these rules when the girls started talking among themselves. “Lydia, what’s up? You ok?” asked Maggie. Accountability from a HALO sister who has walked in her shoes. Yes, please. In that moment, the Housemom’s stars aligned while firework rainbows shot through her universe. That moment held the type of healing and leadership in the girls that she lives for everyday. We all can learn from these girls. No matter what battle we are in, what walk of life we come from, we all need a sister or brother in our corner asking us the tough questions. We all could use a little love like that. Love Heals. Interested in getting involved in HALO? Contact chelseatapken@haloworldwide.org to learn of upcoming volunteer information orientations.